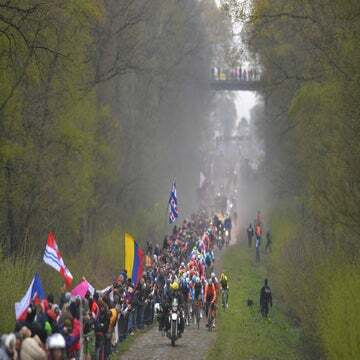 COMPIÈGNE, France (VN) — In 116 years, riders have conquered Paris-Roubaix in many different ways. On the eve of the 2019 edition, the stars say that to win, you have to dare to attack and not be afraid to try. Peter Sagan (Bora-Hansgrohe) won the race last year with an attack 55 kilometers from the line. He joined the last remaining escapee and beat him in the sprint. Before that, cyclists have tried over the many cobbled sectors to break free or off the heels of their teammate’s work. 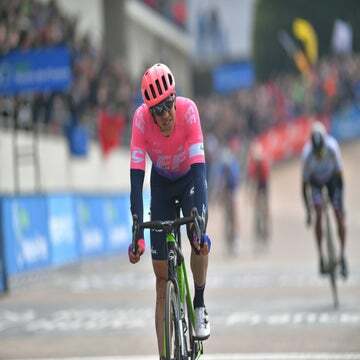 “Dare to attack,” said Wout van Aert (Jumbo-Visma), who finished 13th in his debut in 2018. German John Degenkolb won the race in 2015. He came back to Roubaix with the Tour de France in 2018, and won that cobbled stage too, underlining his strength over the flat farm roads north of Paris. “No secret,” said 2018 winner Sagan. “I think lots of riders before me won the race and there’s no recipe on how you’re going to win the races. German André Greipel (Arkea-Samsic) began Paris-Roubaix seven times and reached seventh place in his last ride in 2017. 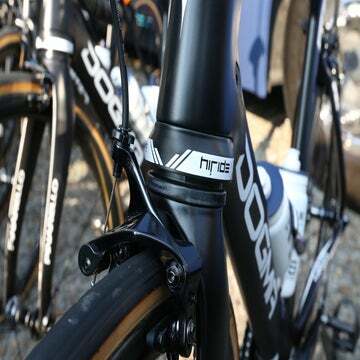 Several riders underlined the importance of riding on the front ahead of the cobbled sectors. Many names were repeated often – Arenberg, Mons-en-Pévèle, and Carrefour de l’Arbre – places where one should be on high alert. “175 guys start and they all want to be on the first row,” Tiesj Benoot (Lotto-Soudal) said. “I haven’t won it, but I’ll know the trick after I win,” said Norwegian Alexander Kristoff (UAE-Team Emirates). He finished 10th in 2015, but already has a Tour of Flanders in his palmarès and a Gent-Wevelgem victory from two weeks ago.